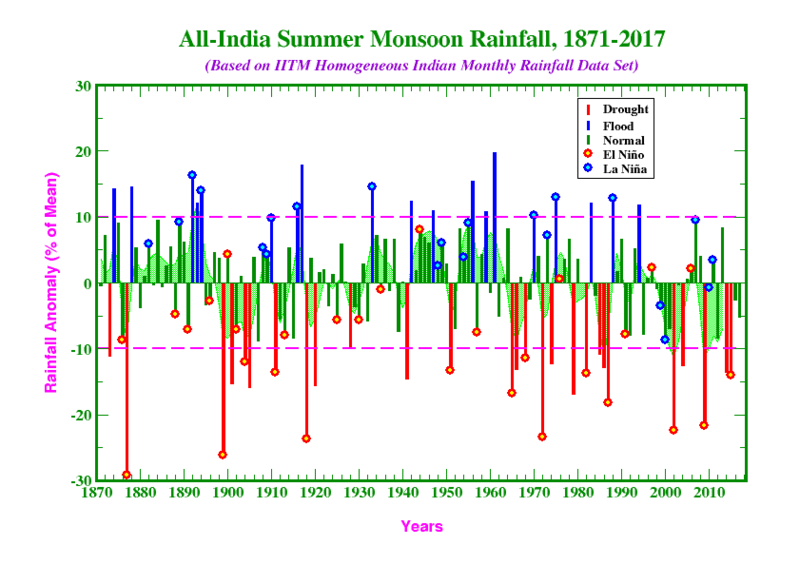 Ref: Singh, D., S. Ghosh, M. K. Roxy and S. McDermid, 2019: Indian summer monsoon: Extreme events, historical changes, and role of anthropogenic forcings. WIREs Clim Change. 2019;10:e571, doi:10.1002/wcc.571.